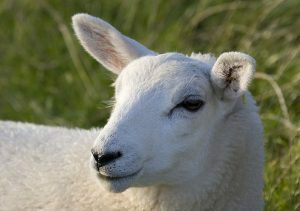 Unlike cattle & goats, sheep have a copper toxicity and therefore cannot tolerate much, if any, copper in their diet. All of our sheep products are formulated with this restriction in mind. In nature sheep met their nutritional needs by roaming to find plants, licking on mineral deposits and other plant material and consuming fresh, clean water free choice. We now confine sheep to dry lot paddocks or pastures. Our product choices support feeding sheep in scheduled feedings by hand or free choice. Many people believe that animals know what their bodies need. In nature they would find it. Sheep kept in dry lot paddocks certainly can’t roam to meet their nutritional needs. Additionally, the quality of our soils may make your hay deplete of the vitamins and minerals your animal needs. Sheep that are kept on pasture are still confined to some degree and can’t roam very far to find various plants and mineral. We offer products that support free choice feeding for your flock’s unique living situation. SweetPro’s Sheep Blocks: Our Sheep Blocks are all-natural, non-molasses, non-starch free-choice lick tub. It contains vitamins, minerals, yeast, live enzymes, pre-biotics, and diatomaceous earth. It comes in 50lb, 125lb a 250lb sizes. We expect sheep to consume between .25 to .50 lb per day per animal. Consumption depends on quality and amount of forage, condition of the animal, whether pregnant or not, time of year and stress/illness factors surrounding your sheep and other potential factors. Redmond Naturals: Redmond Naturals offers sea salt in two free-choice versions: Redmond Rock (7 lbs) or a Redmond 44lb Lick Block version. The Redmond Lick block comes in 8 types. SweetPro’s Sheep Meal: SweetPro’s Sheep Meal is the loose, granular version of the Sheep Lix discussed above. It is a non-molasses, non-starch, vitamin, mineral, yeast, live enzymes, and pre-biotics in a pre-digested, fermented format. Additionally, it contains diatomaceous earth. Some experts believe that diatomaceous earth helps with parasite control in livestock. Sheep Meal if offered in 50lb bags or a 2,000lb tote. This product is fed at 1 oz/100lbs of body weight. Redmond Naturals: Redmond Naturals are sea salt and volcanic ash (toxin binder) conditioner. Salt comes in lick blocks, rocks or crushed in bags. The conditioner comes in a 50lb bag or may be ordered in a 2,000lb tote. These products are fed at several ounces per day per animal. Mountain Sunrise: Mountain Sunrise makes all natural (no additives/binders) hay pellets in alfalfa, various types of grass hay (Bermuda, Bermuda plus, oat, and timothy) and a combination of alfalfa/Bermuda, alfalfa/oat and alfalfa/timothy. We offer 8 kinds of hay for you to choose from in 50lb bags. 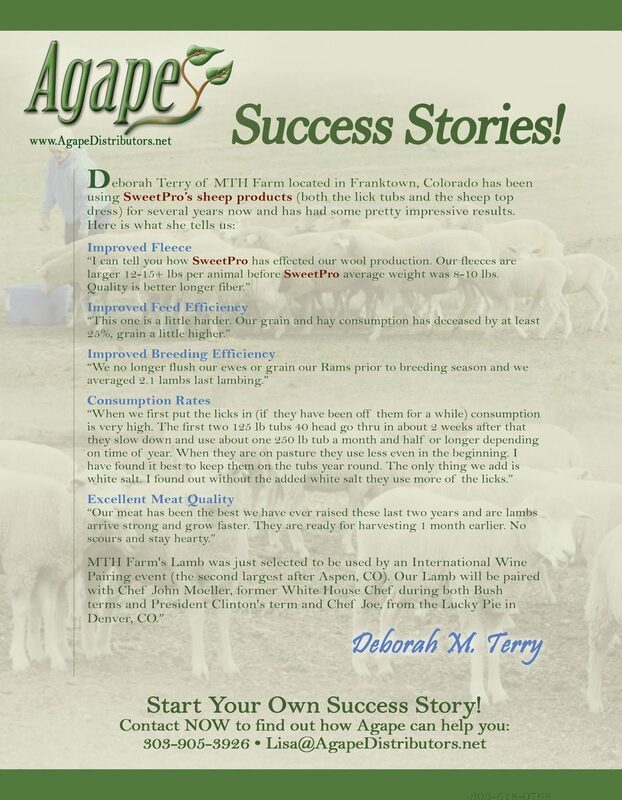 Click here to find out how Sandy Golemb of Lirabeckan Farm in Franktown, Colorado uses SweetPro’s feed supplements for her sheep. 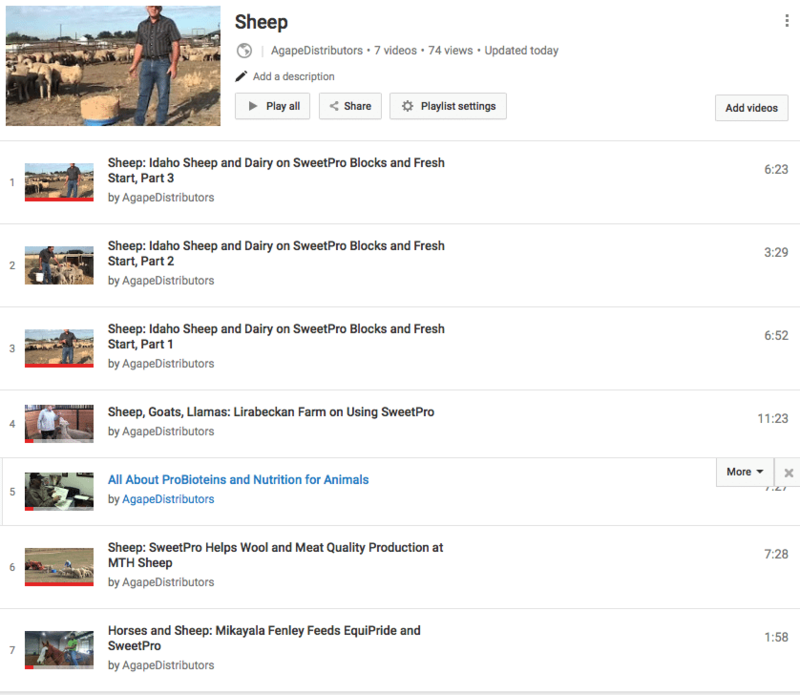 Click here to view more videos about sheep. 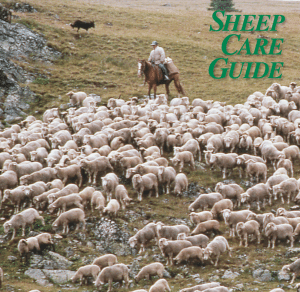 Click here or on the image below to access the American Sheep Industry Association’s 24 page Sheep Care Guide.